A Border Security Force soldier who was dismissed from service in 2017 after he posted a video online complaining about the food served to the troop said he would take on Prime Minister Narendra Modi in his Varanasi constituency in Uttar Pradesh. Mr Yadav said he wanted to contest the elections to eliminate corruption in the armed forces. "I had raised the issue of corruption but I was sacked. My first objective will be to strengthen and eliminate corruption in the forces," he said. 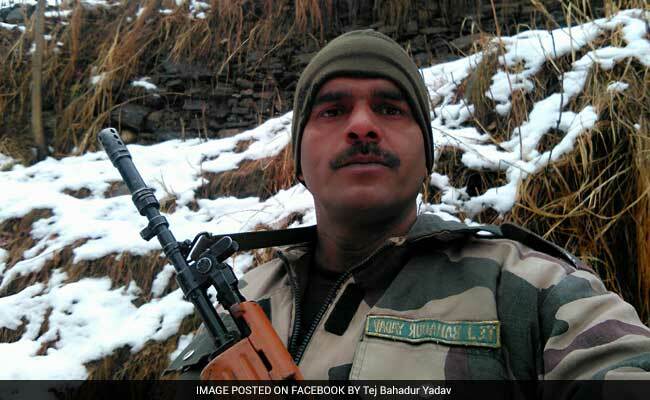 Mr Yadav had uploaded a video on social media in 2017, complaining that poor quality food was being served to troops in icy, mountainous region along the Line of Control in Jammu and Kashmir. He was later dismissed on charges of indiscipline.